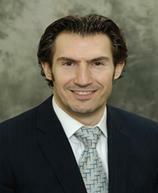 Dr. Fuad Kiblawi is a pediatric cardiologist in Elmwood Park, New Jersey and is affiliated with multiple hospitals in the area, including Holy Name Medical Center and Mount Sinai Hospital. He received his medical degree from University of Jordan Faculty of Medicine and has been in practice for 21 years. He is an Assistant Professor of Pediatrics at Mt. Sinai School of Medicine and Co-Director of the Pediatric and Fetal Echocardiography Lab Division at St. Joseph’s Children’s Hospital. 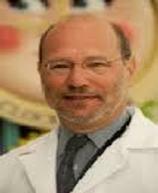 Dr. Henry J. Issenberg is Director of Echocardiography at Maria Fareri Children’s Hospital at Westchester Medical Center and Associate Professor of Pediatrics at New York Medical College. He joined the faculty in 2005 after his previous position as Director of Diagnostic Services at Montefiore Medical Center in the Bronx. Prior to Montefiore, he was Director of the Cardiac Catheterization Laboratory at Doernbecher Children’s Hospital-Oregon Health Science University in Portland. After graduating from medical school at Emory University in 1974, he completed his pediatric residency at Jacobi Medical Center and the Albert Einstein College of Medicine, followed by a pediatric cardiology fellowship at Boston Children’s Hospital-Harvard University. 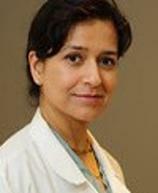 Dr. Rashma Biniwali is an Assistant Professor of Congenital Cardiac Surgery, Cardio Pulmonary Transplantation & Mechanical Assist Devise Program, Division of Cardiothoracic Surgery, at David Geffen School of Medicine at UCLA. She completed a residency in general surgery at Montefiore Center in 2007 and was the Rachel Cooper Foundation Fellow in Pediatric Cardiac Surgery at Montefiore from 2007-2008. In her current position she is part of a team that performs over 350 surgeries per year on children with severe congenital heart disease. UCLA is one of the top 3 Centers in the United States for pediatric heart transplants and Dr. Biniwali performs many of these annually. She is also engaged in state of the art research to extend the lives of critically ill children born with congenital heart defects. For many years he was Director of the Pediatric Cardiovascular Laboratory at Columbia-Presbyterian Medical Center. In 1985 he became the Director of the Division of Pediatric Cardiology at Montefiore Medical Center/Albert Einstein College of Medicine. Under his leadership, together with the Rachel Cooper Foundation, the Division expanded and brought in many children from underdeveloped countries for life-saving heart surgery. 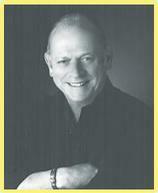 Dr. Steeg retired in 2002. 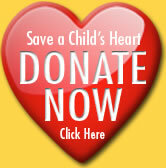 The Rachel Cooper Pediatric Heart Center is located in the Children’s Hospital at Montefiore (CHAM). When Rachel Cooper was just two months old, the doctors at Montefiore performed a tracheotomy, which saved her life. 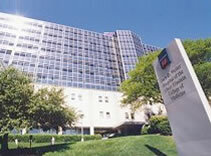 It seems appropriate, then, that the Foundation established in her name would affiliate with Montefiore Medical Center. Our Foundation supported a number of projects at Montefiore, a children’s playroom, a pediatric clinic and a pediatric stress test lab, during our early years. When plans were announced to build the new state-of-the-art Children’s Hospital we were invited to provide support for the establishment of a pediatric heart center in exchange for it being named for Rachel. We contributed one million dollars to that effort. Montefiore Medical Center and its physicians have long been leaders in Pediatric Cardiology and the management of the child with congenital or acquired heart disease. The doctors at Montefiore collaborate across disciplines to provide the most efficient care their patients with congenital cardiac defects and are leaders in their field. To receive information about the Rachel Cooper Foundation's programs and activities, please submit the information below.